Wouldn’t it be nice to “turn back the clock” and reduce the signs of aging? Or apply a magic potion that would make your fine lines and wrinkles simply disappear? 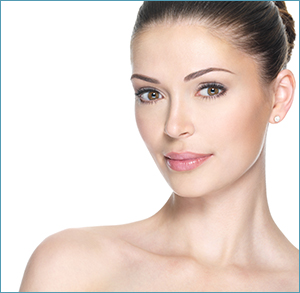 The desire for a more youthful appearance often leads patients to inquire about facial rejuvenation. Many patients that I see are not interested in looking drastically different, rather they are more interested in looking like they did ten years ago. They would prefer to keep their friends guessing as to whether they had a procedure done or not, instead of looking “over-done”. Since the aging of the skin can be caused by a number of factors including genetics, sun damage, smoking, excessive facial expression and discolouration, there are many techniques both surgical and non-surgical to consider. Skin care, lasers, facial fillers, and neurotoxins (Botox®) will all be considered, as ideal rejuvenation takes into consideration all the signs of aging, not just the loose or sagging skin. Surgical cosmetic procedures such as facelift, neck, brow or eye lift, or a combination of these procedures may also be considered. To properly asses which procedures are ideal for you, it is important to book a private consultation with a board certified plastic surgeon. During your consultation, your surgeon should discuss your desired outcome, while evaluating the structure, gravity, volume and texture of your face to carefully develop a surgical or non surgical plan that is appropriate for you.